This one-day event provides a full overview on all you need to know about working in the field of children’s book illustration. There will also be opportunities to browse, purchase or order books and resources. 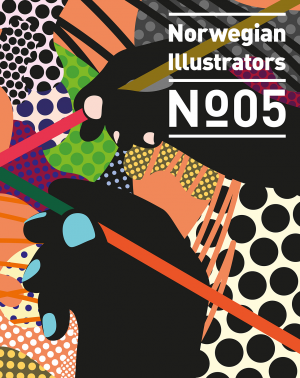 This event is open to illustration students and working illustrators at different stages of their professional career.This event is open to illustration students and working illustrators at different stages of their professional career. BOOK NOW to secure your place. John Burningham is one of the most respected and highly acclaimed illustrators working today. He has written and illustrated over 40 books. His first book for children, Borka the Adventure of the Goose with No Feathers was published by Tom Maschler at Jonathan Cape in 1963 and awarded the Kate Greenaway Medal. John Burningham, an outstanding gift book detailing John’s life and work will be published by Jonathan Cape on 7th May 2009. Michael Foreman has been writing and illustrating books since 1961 and has now produced more than 200 books to date. He has twice won the Kate Greenaway medal among many other awards. He also enjoys writing his own books about earlier periods of History in books such as War Game (1993). Philippa Milnes-Smith, Managing Director LAW Agency is an expert in children’s books and had previously worked as MD at Puffin Books before taking up the same role at LAW. Mike Davis, Art Director Non-Fiction Macmillan. Mike works for one of the largest general book publishers in the UK. Helen Mackenzie Smith, Editorial Director, Picture Books at Random House Children’s Books. Helen has worked at Random House for thirteen years, and the authors/illustrators she works with include Quentin Blake, Shirley Hughes, John Burningham, Anthony Browne, Chris Wormell and Mini Grey. Fig Taylor AOI Portfolio Consultant has more then 20 years experience in the illustration industry as an agent and as a portfolio consultant. She will discuss what is needed in a children’s book portfolio, how to promote your work and how to approach art directors. Telephone bookings with Visa/MasterCard or Solo/Switch (Maestro) or to send a cheque made payable to the AOI.